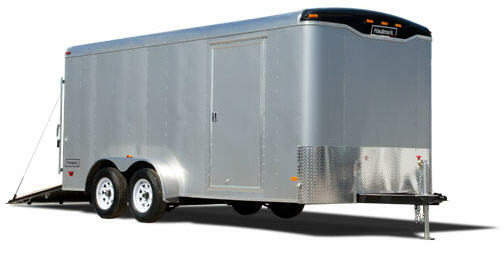 The Transport line from Haulmark Trailers is the ideal cargo trailer for recreational and commercial applications. The 7′ wide model is available from 12 to 16 feet in length, and comes with a round nose or V-nose. Specifically engineered for recreational and commercial applications, Transport cargo trailers come standard with structural gauge steel frames, heavy-duty flooring, ATP stoneguards, and pass-thru side entry doors.